Two Austin neighborhoods made a list of the 25 hottest neighborhoods in the country. The list took into account walkability, transit, budget, entertainment, lifestyle, and weather, These were measured by examining how many bars and restaurants were in a neighborhood. They also looked at local taxes. Finally, the study measured how severe the seasons were and pet friendliness. The Austin American Statesman reports on the two Austin neighborhoods that made the cut. This Austin neighborhood was number 12 on the list. Holly is south of 7th Street, north of Lady Bird Lake, east of IH-35 and west of Chicon Street. Holly did well on budget, weather and walkability. Central East Austin was named the 10th hottest neighborhood in the US. It is located east of IH-35, south of MLK Jr. Boulevard, north of East 7th street and west of Chicon. It did well in the same categories as Holly. However, both Austin neighborhoods scored low in the entertainment measure. 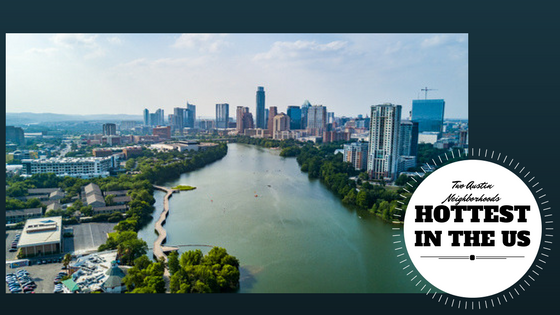 Want to find an apartment near the hottest neighborhoods in Austin? Our apartment locator services make it easy!